BBNW Analysis Coach Legg in his second year must replace a talented and large senior class (17) including 4 senior pitchers that threw over 300 innings. Ebert and Freiburger, both All-Conference selections, will return to ignite the offense in 2019. In conference, they were 1st and 2nd in stolen bases and 5th and 8th in hitting, respectively. Both have good versatility value also. Senior DH Ben Ross has the power to be a force in the middle of the order. Sophomore outfielder Dakota Fingar showed big upside on both sides of the ball before being hurt early in 2018. Coach Legg likes the running game—The Warriors led the conference in steals in 2018. Corban has limited experience on the mound with only 77 of 452 innings returning. Senior Jonathan Russamono moves from the bullpen to a starter’s spot with the most experience of success. A return to the post season may depend on the development of 14 new pitchers of which 8 are freshmen. Corban’s season opener is January 25th at William Jessup University in northern California for a 4-game weekend series, followed by the home debut vs. Menlo College February 9th, and the conference start in Lewiston, ID vs. LC State on February 23rd. Corban plays home games at Volcanoes Stadium in Keizer, OR. Good luck to the Warriors! BBNW asked, “What do you want a prospective student-athlete to know about your program?” We’ve completed the 3rd phase of our beautiful new field and stadium and a hitting facility is on schedule to start this summer. BBNW Analysis The Coyotes should rebound from a very unusual 2018 season in which they did not make the post season for only the second time in Coach Humberger’s 18 years at the helm. He has been part of the program for 32 years with 18 of those as head coach, amassing 560 wins which makes him the highest winning active college head coach in the Northwest at any level. Boyd and Manning will lead the returning pitchers with 22 starts and 140 innings between the two of them a year ago. Van Horne was 1st in team home-runs and 2nd in RBIs while starting every game. College of Idaho is the first Northwest college to debut in 2019 in Arizona vs. Benedictine Mesa on January 24th. Their league opener is not until February 23rd vs vs OIT at home at Wolfe Field. Good luck to the Coyotes! 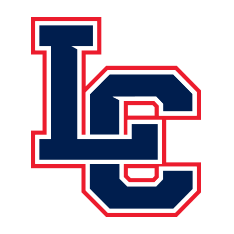 BBNW asked, “What do you want a prospective student-athlete to know about your program?” LCSC has a rich tradition of academic and athletic excellence. BBNW Analysis Coach Taylor takes over the storied program in 2019 with as much expectation and excitement as ever before. 19 National Championship titles, including 3 of the last 6 with runner up finishes in the other three years, sets the bar very high. The 57-year record of the program is 2,315-714 (.755). Taylor is a former Warrior from the 1992 championship team and spent one year as an assistant coach. The two-time Idaho High School Coach of the Year also played at Mt. Hood Community College. The Warriors return all but 46 innings on the mound where they led in most pitching team and individual categories last year, including Tyler Burch who was NAIA West Pitcher of the Year. The Warriors also led the NAIA West in nearly every offensive category, but now have big holes to fill after graduation. Callahan was the All-NAIA West utility selection. The Warriors will open the season at home vs Concordia (switched to Harris Field due to weather) February 1st in a four-game series. D2 powerhouse Western Oregon comes to Lewiston the following weekend on February 8th. Conference play begins February 23rd vs. Corban. LC will host and have an automatic bid to the Avista NAIA National Championship Tournament at Harris Field May 24-31. 2019 is the 20th consecutive year the event has been held in Lewiston. Good luck to the Warriors! BBNW Analysis Coach Miles, a former Owl himself, is the winningest coach in baseball history at OIT. His team was picked 3rd in the NAIA West coaches pre-season poll, tied with Corban. Kallstrom (2nd in hitting) and Zavala (4th in hitting) are the best of the middle of the order players returning. Kallstrom also was first or tied for first in conference homeruns, total bases, and doubles; Zavala was second in doubles. Both were Gold Glove winners. Wago emerged as the team ace as a freshman, winning 8 games and was 2nd in conference innings pitched. Telesmanich led the league in saves. Oregon Tech’s season debut is in northern California vs. Simpson University on January 26th, before the league opener on the road at College of Idaho on February 23rd. The pre-season and early conference schedule will include 27 road games before returning to the friendly surroundings of Kiger Stadium on March 16th vs. University of British Columbia. Good luck to the Owls! BBNW Analysis Coach Pritchett’s team looks to return to the post-season in 2019 in his 4th season as head coach. Pitching will need to improve (5th ) for that to happen and will be led by staff ace Windeler who was 1st in strikeouts and opposing batting average and 3rd in ERA last year. Soper returns as the top hitter for average and Butler the top power source (.444 slugging). 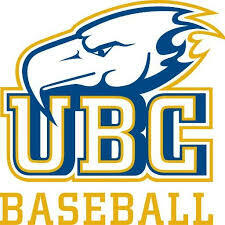 The UBC roster consists of only Canadians. The Thunderbirds played a handful of games in Japan in the fall which included two games that will count towards their record. They also got a taste of D1 baseball by playing Gonzaga and Oregon State in September exhibition games. UBC spends much of the pre-season schedule in southern California beginning at Westmont College on February 7th. 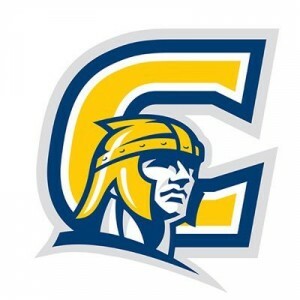 Concordia will be the opponent for their home debut at Tourmaline West Stadium Field on February 23rd followed by NAIA West opener March 1st vs LC State. Good luck to the Thunderbirds! These season previews were compiled by Jeff McKay and Josh Warner.